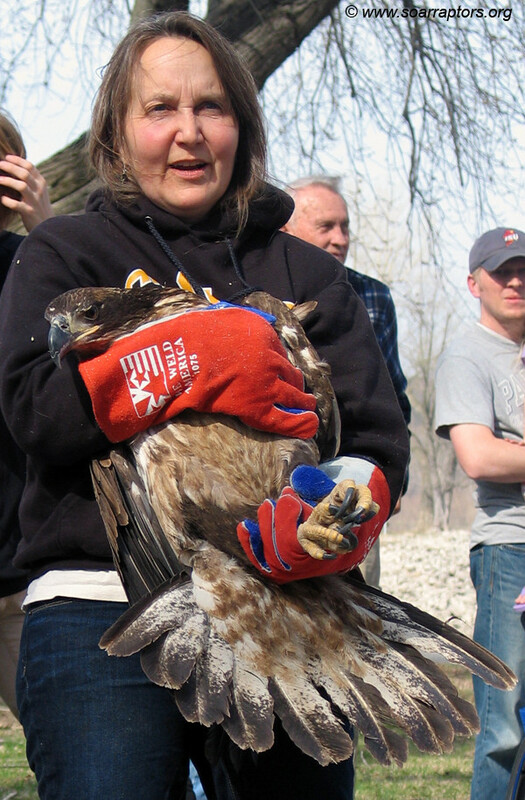 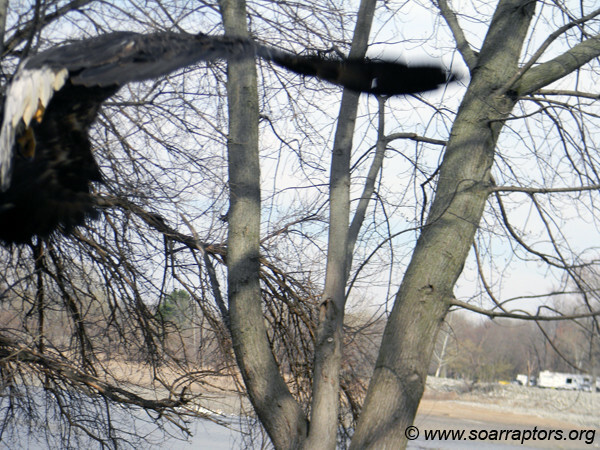 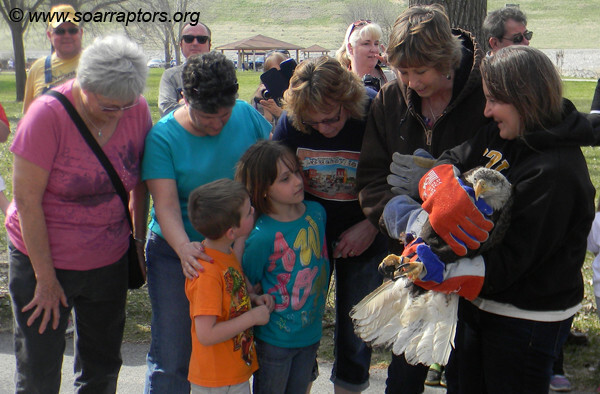 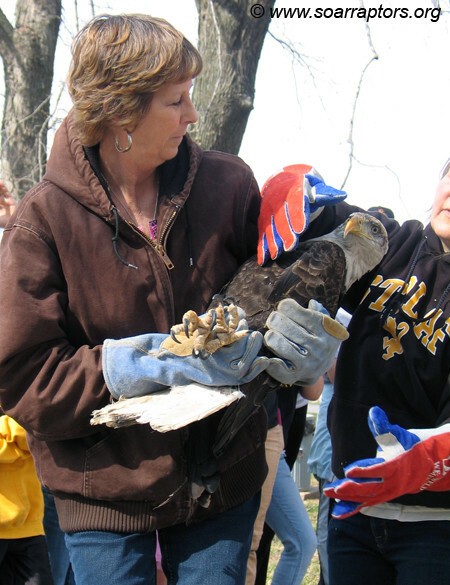 Two rehabilitated eagles were released at Lake Red Rock, below the dam at the South Tailwater Area on 19 April 2014. 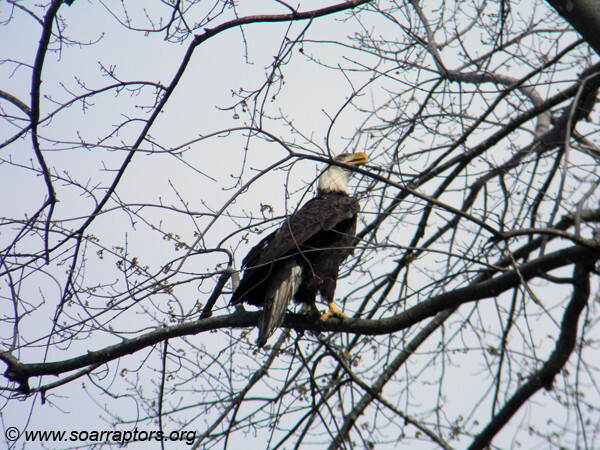 About 50+ folks that attended the SOAR eagle program at the Red Rock Visitor Center watched, as did numerous folks out fishing and enjoying the weather! 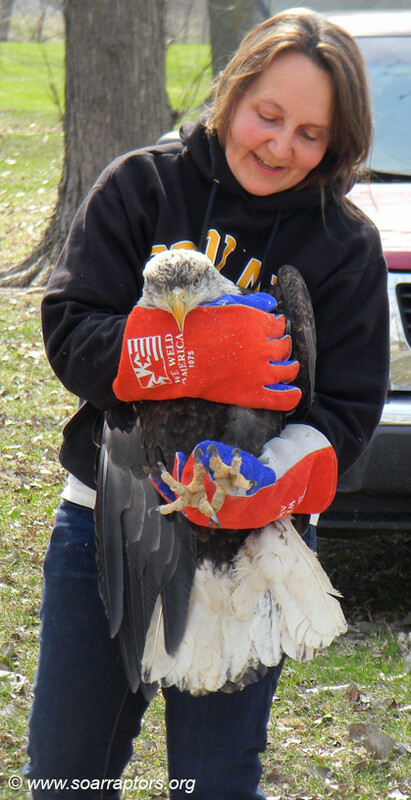 Released were a juvenile female from Woodbury County admitted 9 November 2013 and a 4-year-old male from Montgomery County admitted on 21 November 2013. 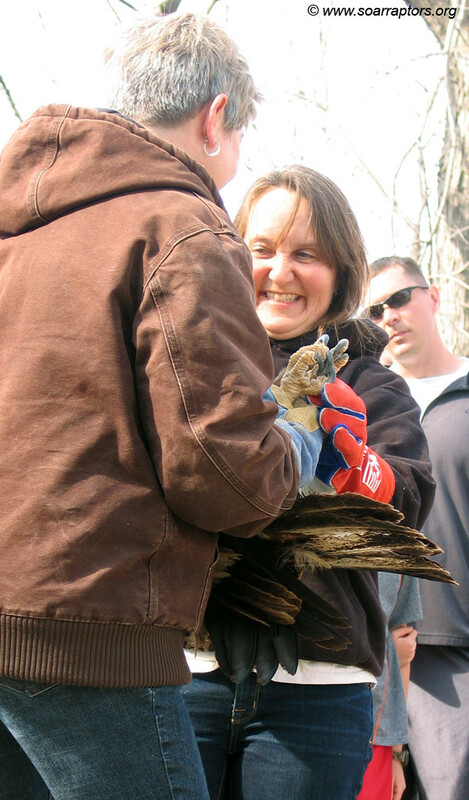 Kay brings the first of two eagles for release. 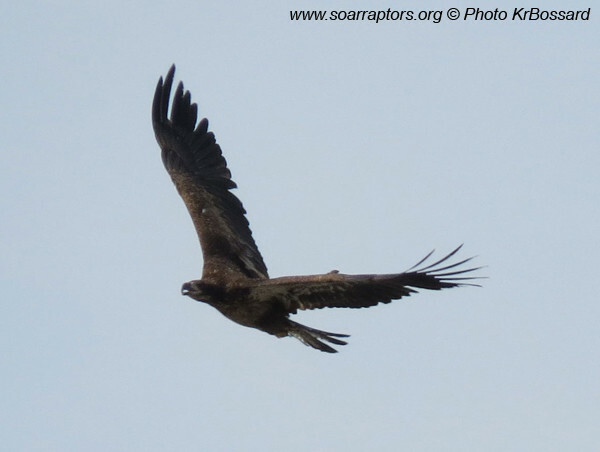 Diane's family shares release opportunity. 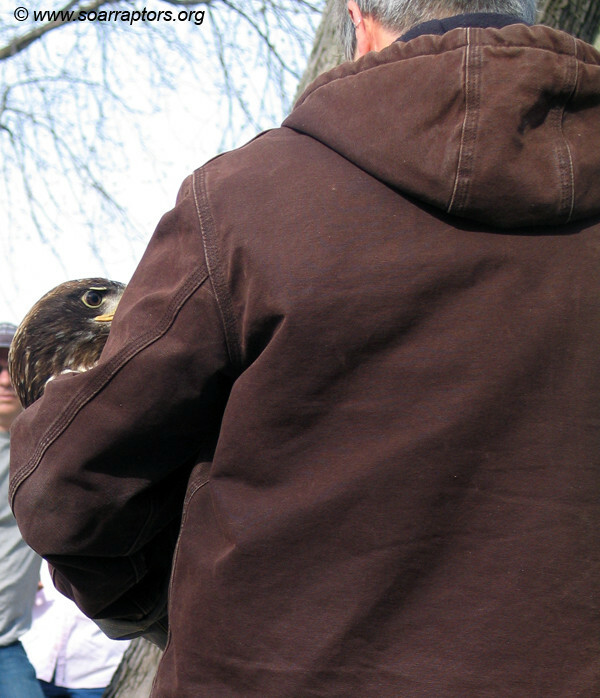 Kay helps Diane get the proper hold for everyone's safety. 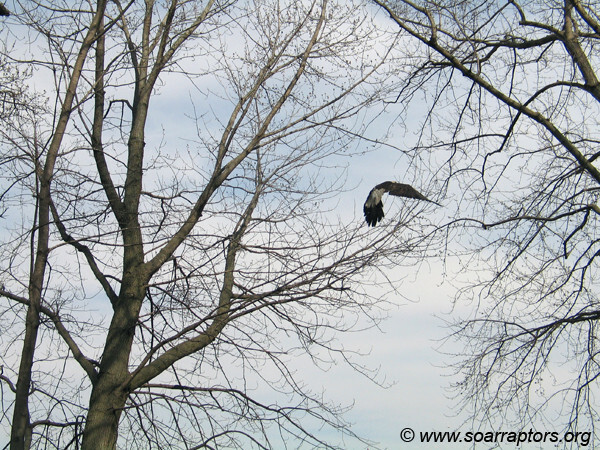 ... flying free once again. 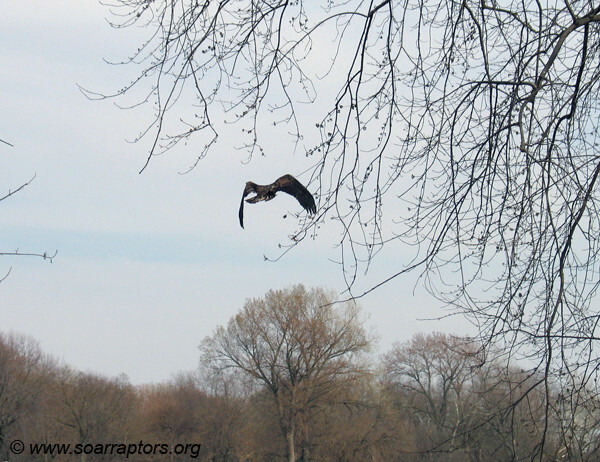 As with many birds just released, he stops to take in his surroundings before taking off for a tour below the dam. 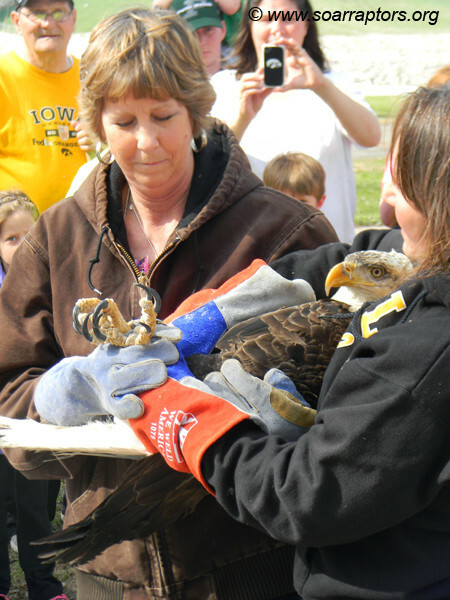 Kay and Marla bring the second eagle out for release. 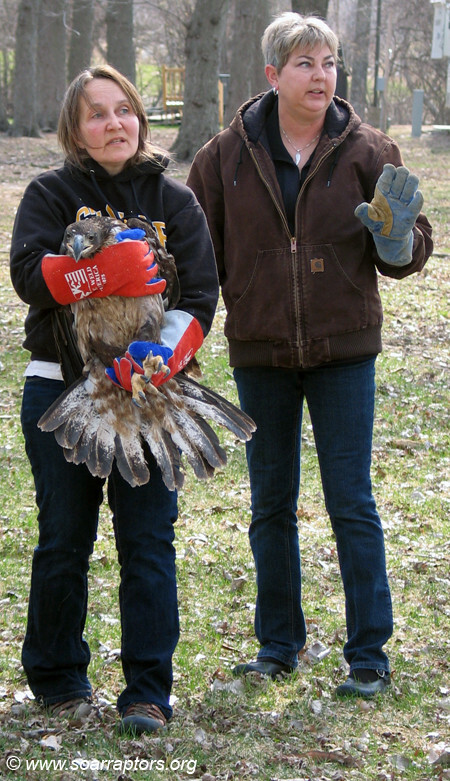 Kay was so excited to give Marla the opportunity to release a bird, instead of just being one of SOAR's go-to-rescuers! 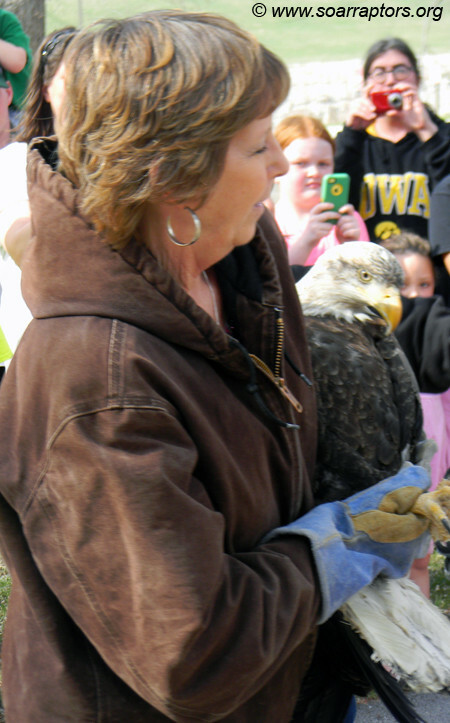 Marla was very humbled by the gesture (did I say VERY) and paused for reflection before the release.